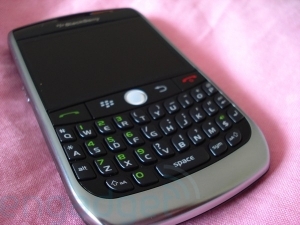 More BlackBerry Javelin Pictures | BlackBerry Blast! More and more information seems to be spilling out about the upcoming BlackBerry Javelin. Engadget has put together a little gallery of pictures of the Javelin. With the release of the BlackBerry Javelin supposedly a year away, what accounts for all the buzz around this non-3G device?